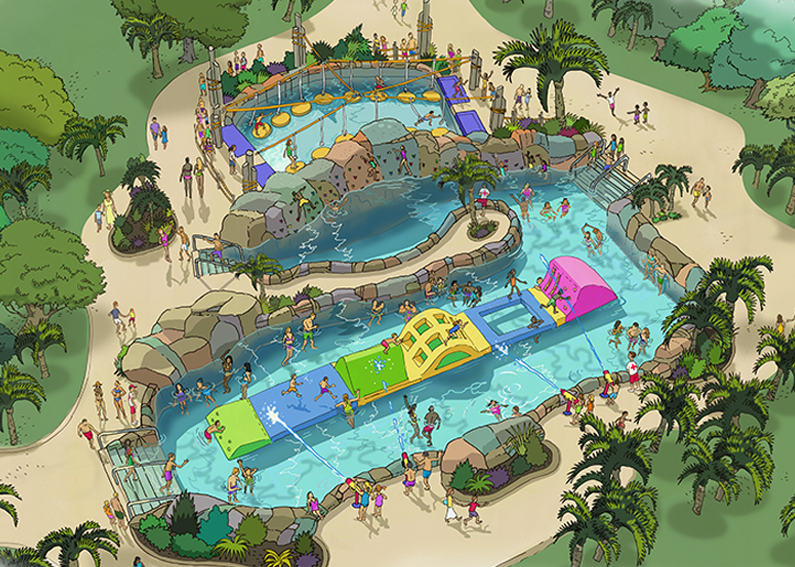 ADG’s Breaker Beach® Boogie Boarding ride brings your guests the experience of real ocean surf in a controlled boogie boarding pool with near limitless capacity and excitement. It’s the perfect wave every time but with a new experience every ride for continuous action they’ll want to come back for time and again. As the world’s leading manufacturer in wave generation, ADG has been the go to wave system manufacturer for more than 50 years. 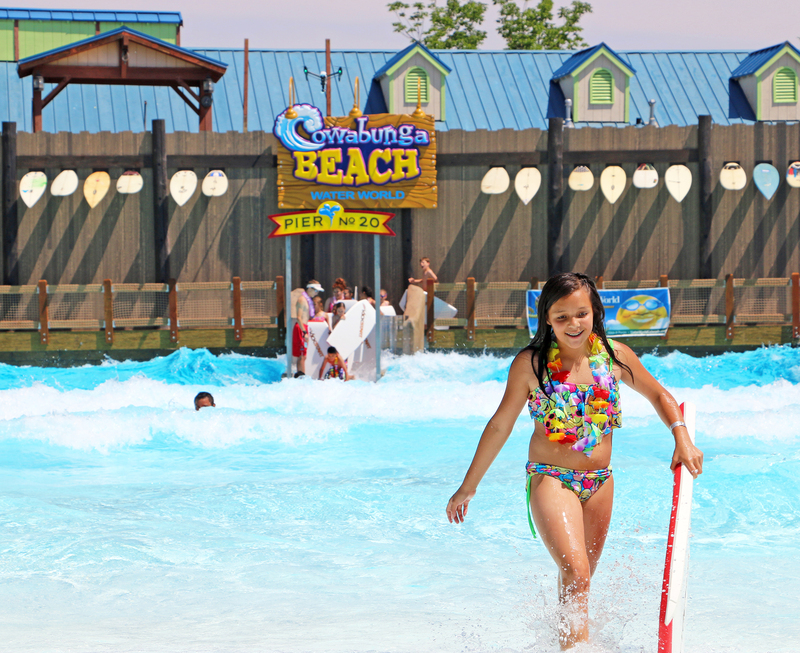 And once again we are advancing wave technology with our all new boogie boarding wave pool – guaranteeing the perfect rolling surf wave every time, and with the capability to dispatch two riders every 8 seconds so there are virtually no lines! 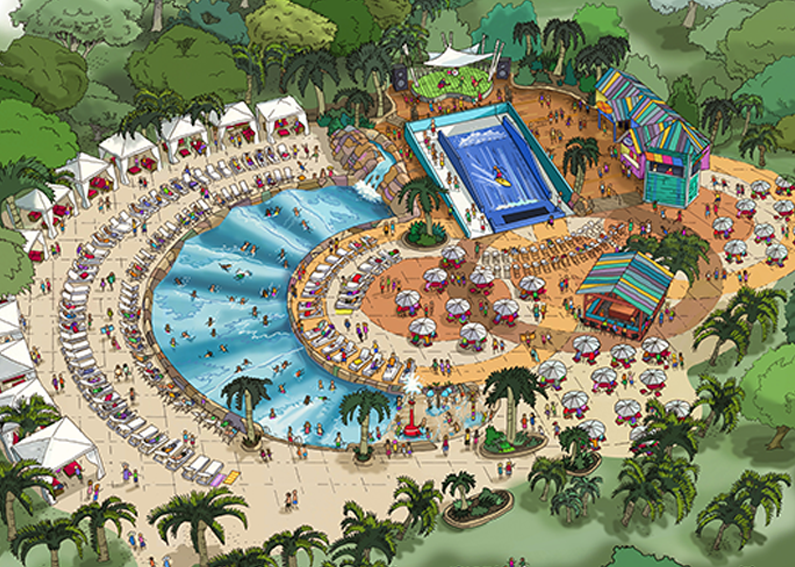 Guests spend their time on the ride and in the water. And with a skill based component, no two rides are ever the same! 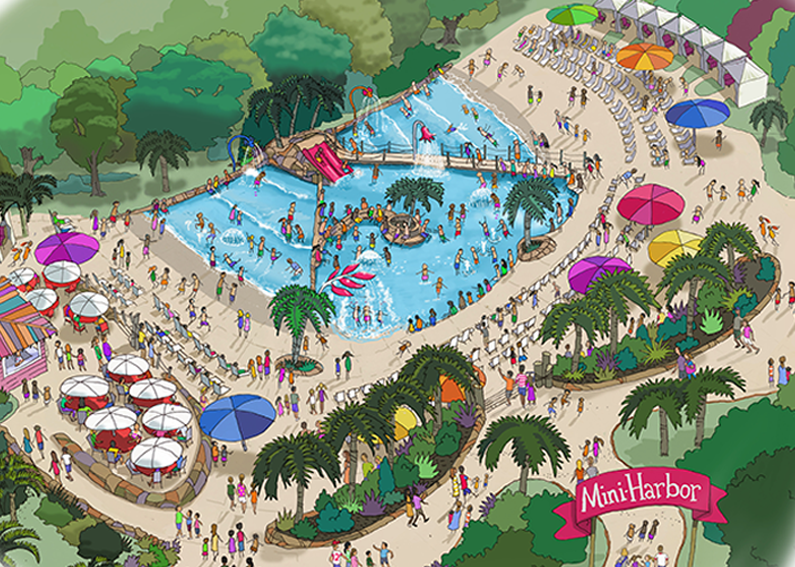 Guests will want to experience the attraction again and again as they work to master the perfect ride. 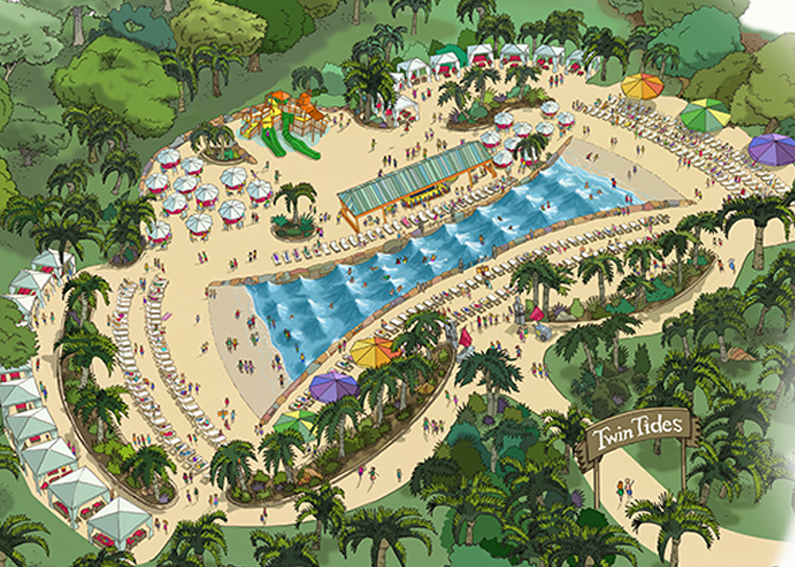 Decking is strategically laid out around the ride to manage guest flow to, from, and around the boogie boarding wave pool. Cabanas, shaded lounge areas, and tables can easily be situated for prime spectator viewing and easy access to food and beverage service. Open walkways surrounding the waters edge encourage interaction between spectators and riders and offer the perfect venue for conducting boarding expositions and contests. Retail kiosks provide essentials to guests all in one prime location. 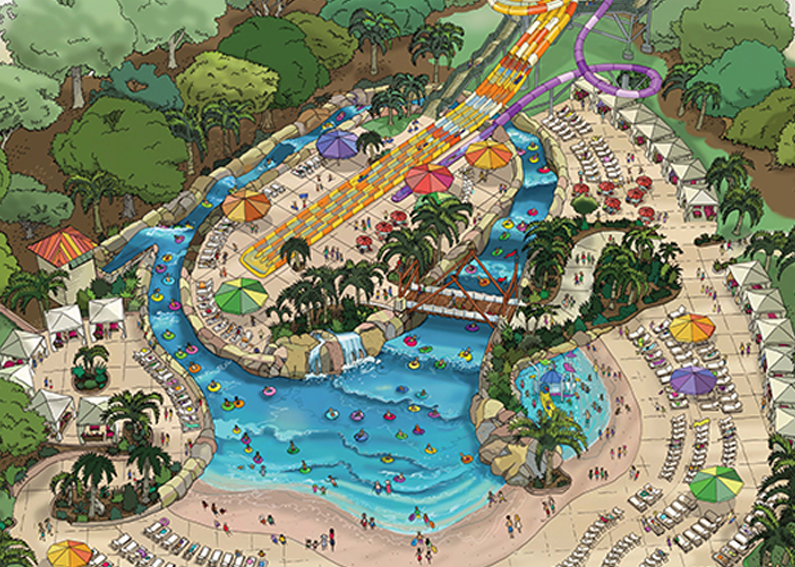 Learn more about our complete line of ADG Water Rides – your solution to creating a unique attraction designed to get people off the line and into the water. Want to see one of our rides in action? Check here for a list of locations and then contact us to discuss setting up an appointment. 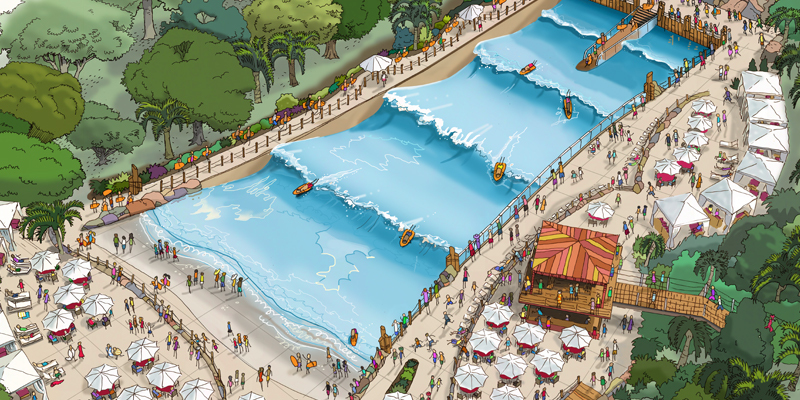 The first of its kind, boogie boarding surf ride, Breaker Beach, branded ‘Cowabunga Beach’ by Water World, employs ADG’s exclusive WaveTek® wave generation technology to provide riders with the perfect surf wave every time! This skill based, action oriented attraction appeals to guests of all ages and experience levels.